When the cold weather settles in, flying "an open cockpit aircraft" becomes a challenge. Most PPG helmets I have seen, are open and do not have a protective shield. What it does not have, is a visor. 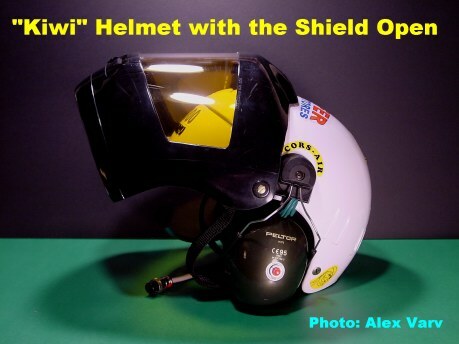 In this article we will discuss how to install different universal pivotable shields on open face helmets. 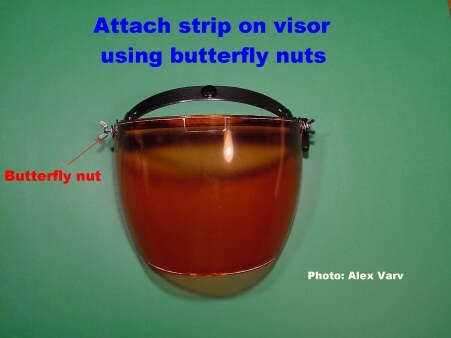 The picture below, illustrates a pivotable visor purchased for $17 from a motorbike store. I decided to install it on both helmets, for colder weather flying. The pivotable visor has three snaps installed by the manufacturer. They will be further used to attach the visor to the helmet. 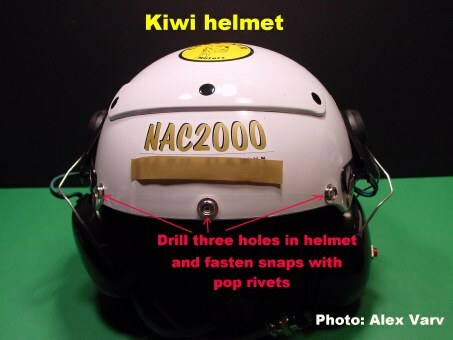 In order to attach the shield to the Kiwi helmet, I drilled three holes and installed three snaps. 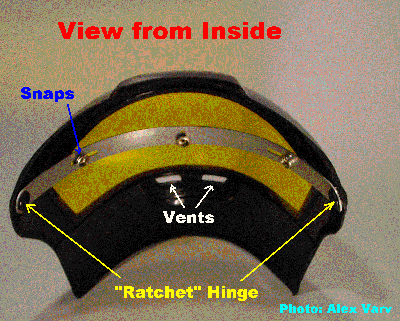 The holes were formerly aligned with the snaps on the visor. I used pop rivets for fastening. 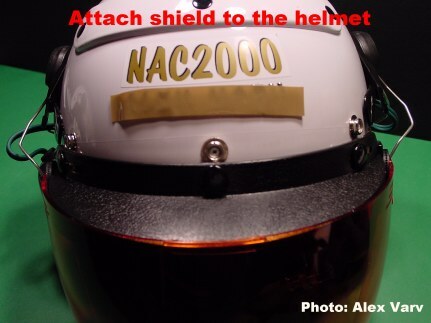 The picture below shows how the shield is attached to the helmet. First, the middle snap is pressed in. The remaining two female snaps on the visor, can be moved thus perfectly aligned with their halves on the helmet. 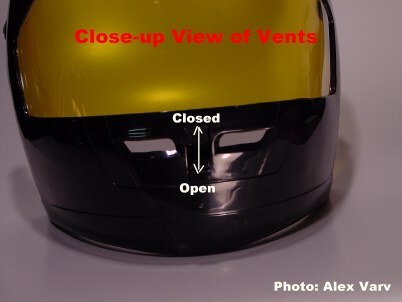 The picture below shows the visor in "down" and locked position. To pivot the visor in "up" or open position, only one hand is required. 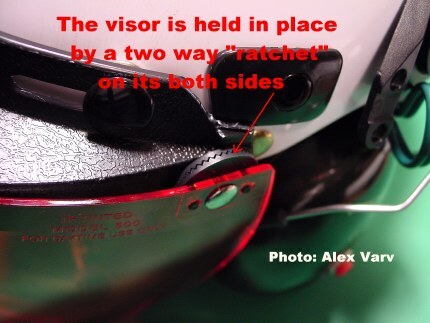 The hinges are a "two way ratchet" system which ensures that regardless of its position, the visor is always firm and does not slide up or down. The pilot can safely fly with the visor open or closed. 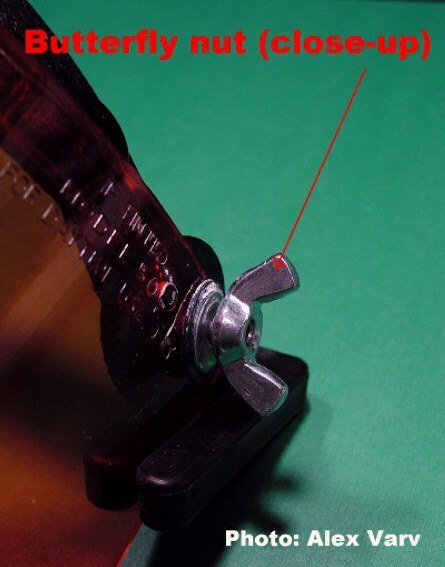 This close-up picture shows how this "ratchet" system works. It makes hard to see the glider above. 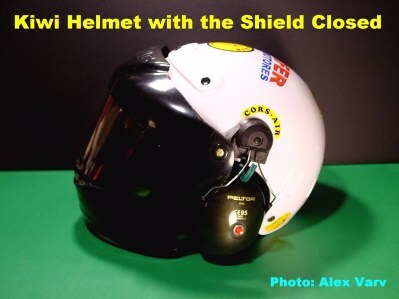 In order to eliminate this problem, another modification was performed and applied to the Paratour helmet. 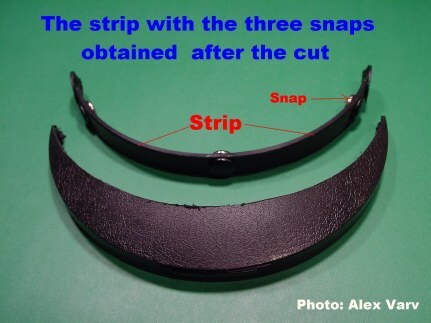 First, the vertical part (containing the three snaps) of the visor was removed. The next step is to attach the visor to the strip. Since the original pop rivets had been removed before trimming the strip, butterfly nuts with bolts were used instead. Before torquing, small amounts of medium Lock Tite compound were applied on the threads. 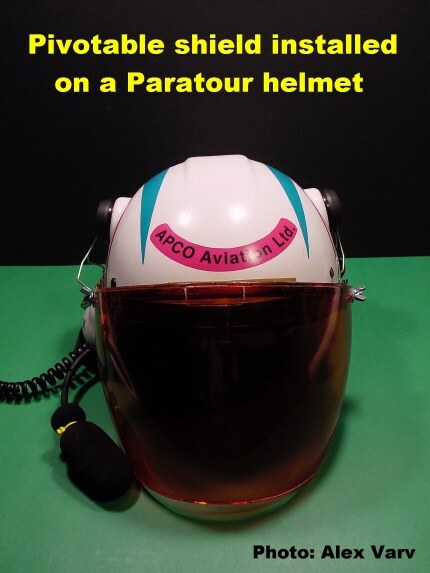 This picture shows the pivotable visor installed to the Paratour helmet. Removing part of the visor (described above) allows a better view of the glider. In both cases amber tinted shields were used. They greatly improve contrast especially in lower visibility conditions thus increasing safety in flight. 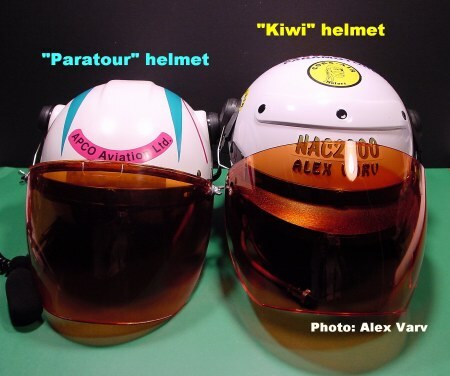 This photograph shows both helmets, the Paratour and Kiwi, with the pivotable shields attached. After publishing this material, I found a different visor that is much better. It is easier to install and does not need any modifications in order to have a good visibility of the glider, when it is inflated. 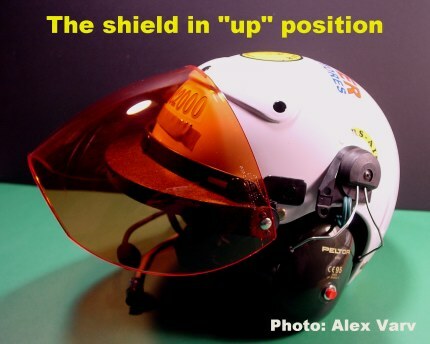 This shield is bigger and protects the pilot's face more than the previously described ones. 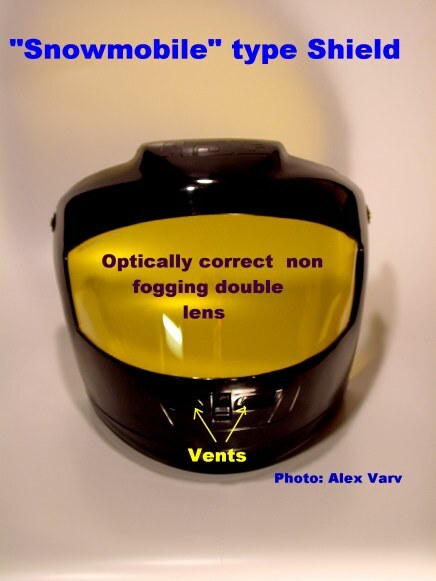 It can be pivoted up and down and has a frontal vent to protect the lens from fogging. 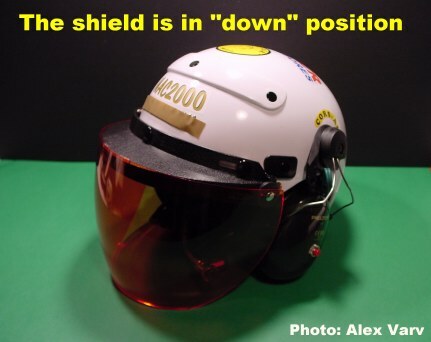 Because it is designed for snowmobiling the shield has a double lens and it is non-fogging. 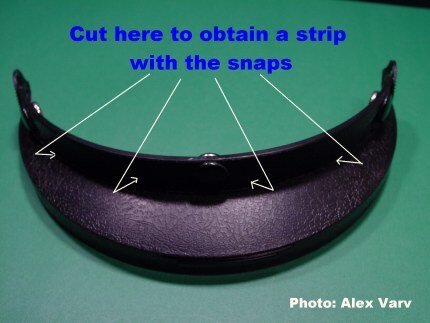 The shield has opitcally correct lens and can be purchased from any snow mobile store for $32. 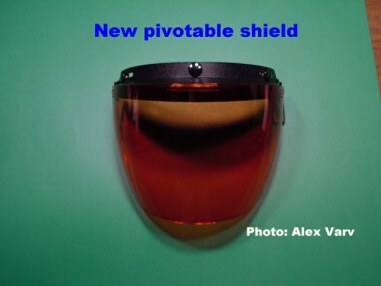 Important note: These shields -being concave-convex- have different refractive properties than the human eye and as any optical device ( even sunglasses) they may slightly change the perception of depth. This property may cause the pilot to flare too high before touch down. Caution is strongly recommended during the first landings. However,the eye will soon adapt to this feature. on the final approach thus the pilot can correctly estimate the height of the flaring phase.